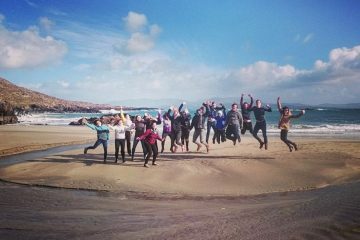 The wild west of Ireland is where this wonderful adventure tour will take you. 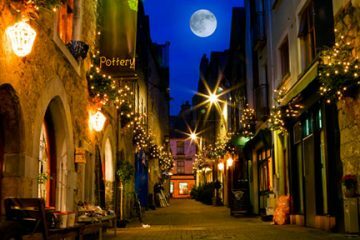 Experience the world famous nightlife of Galway city and the bustling array of true Irish musical pubs. 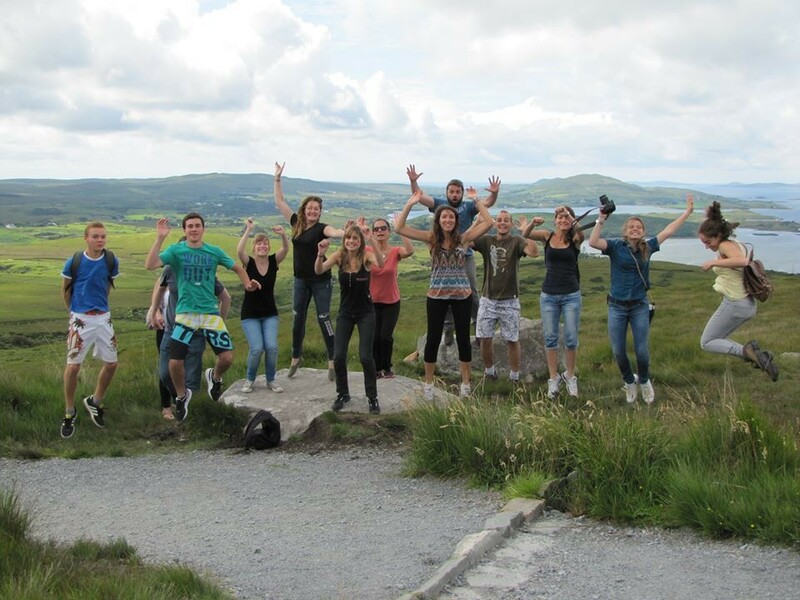 This tour will take you through the valleys of Connemara with an abundance of stone walls and historical sites. 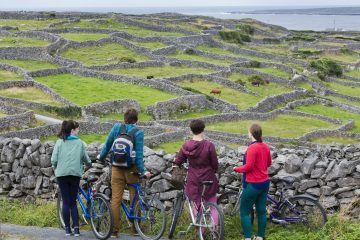 On day 2, we will take a ferry to Inis Mean where you can opt to hire a bike and ride along the old country roads, with an abundance of stone walls and historical sites. 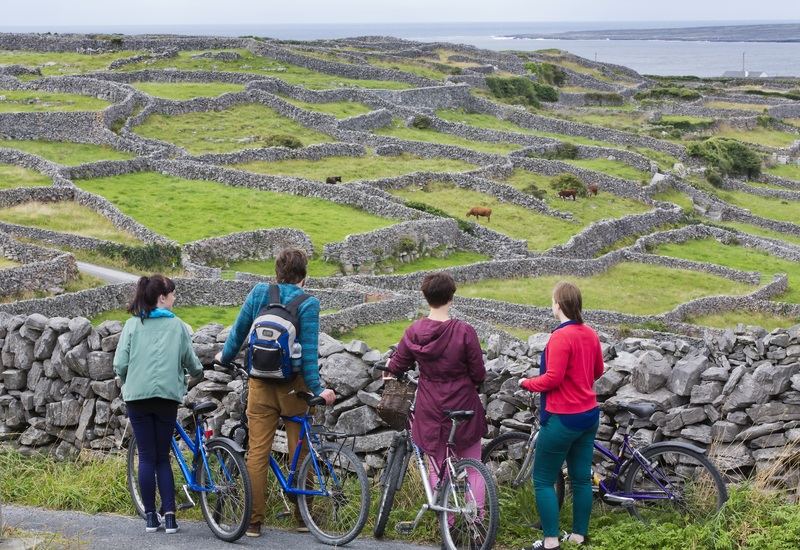 Plenty of free time to visit Galway city. 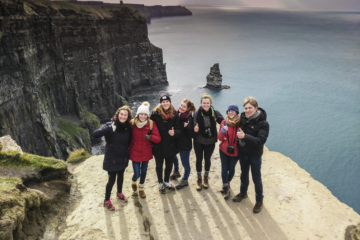 Many of the walks give you time to share the experience with like-minded young travelling companions. 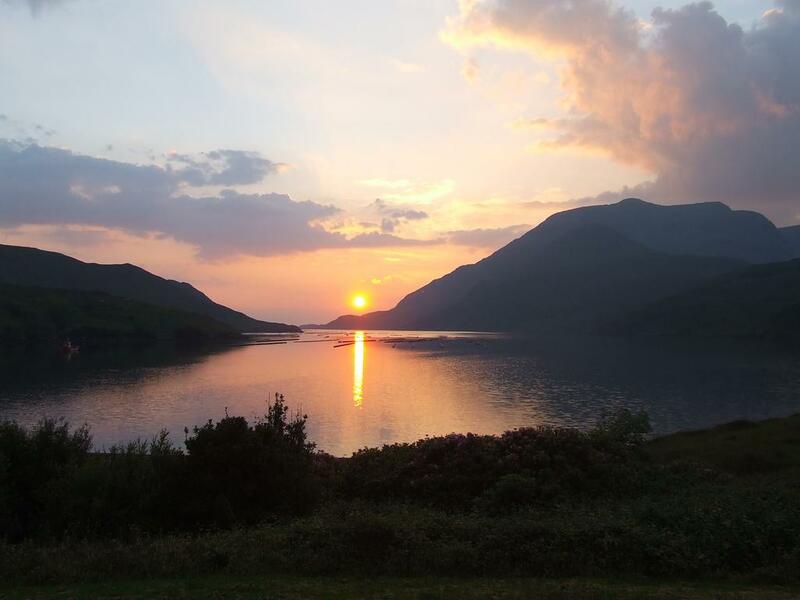 This morning we will make our way to the ‘savage beauty’ of the Connemara region. En route we will stop at the beautiful village of Cong, where you will get the chance to go for a wee stroll around the nature trail of Ashford Castle. 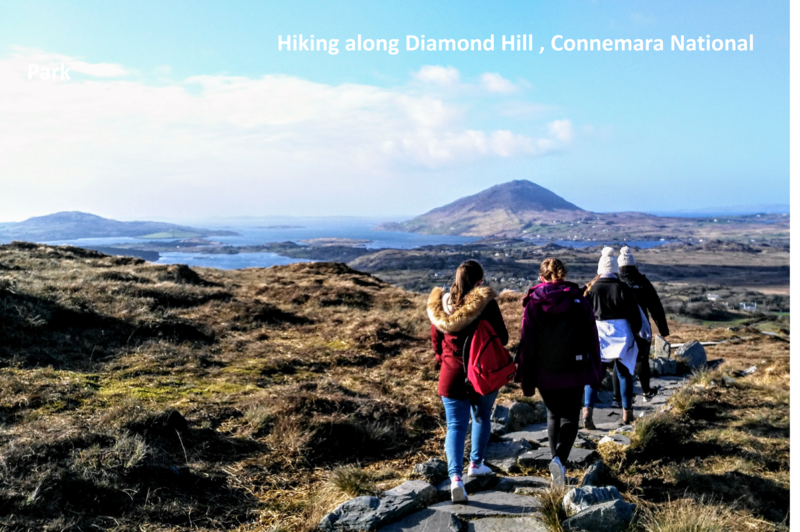 From there we will make our way to your accommodation in the heart of Connemara, located beside the picturesque Killary Fjord. 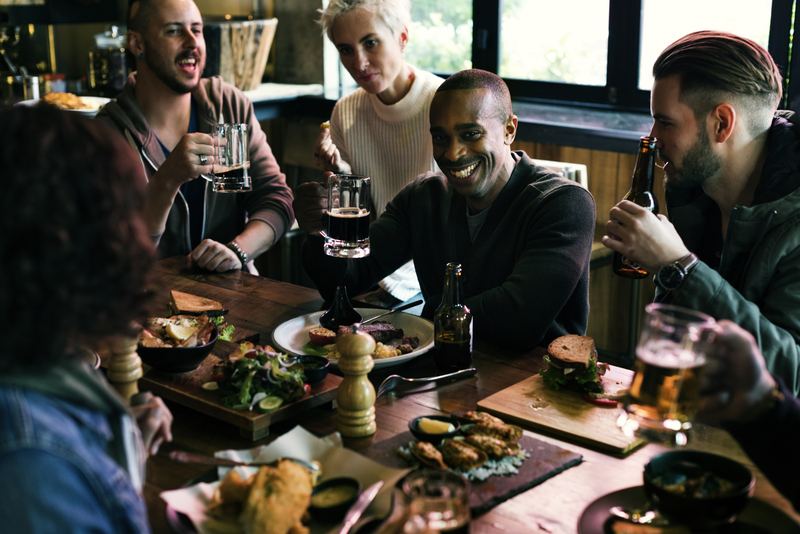 After a bite to eat at Kylemore Abbey, we will make our way to Diamond Hill. 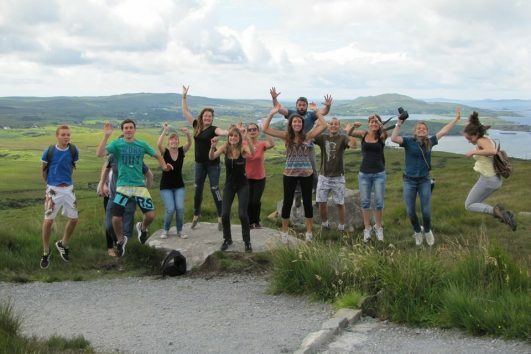 Your starting point is the visitor centre at the Connemara National Park. From here, the fully signposted and surfaced track takes you along the Sruffaunboy Nature Trail before branching off towards the cone of Diamond Hill. 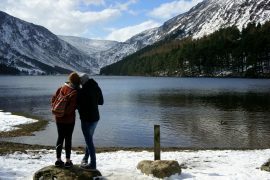 Gravel footpaths and wooden boardwalks ease your passage over the bog as you approach the foot of the mountain. 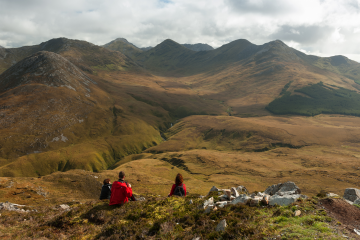 To the north and east, the Twelve Bens are nothing short of sensational and directly north, the summit of Mweelrea, Connaught’s highest mountain, can be seen peeping out. 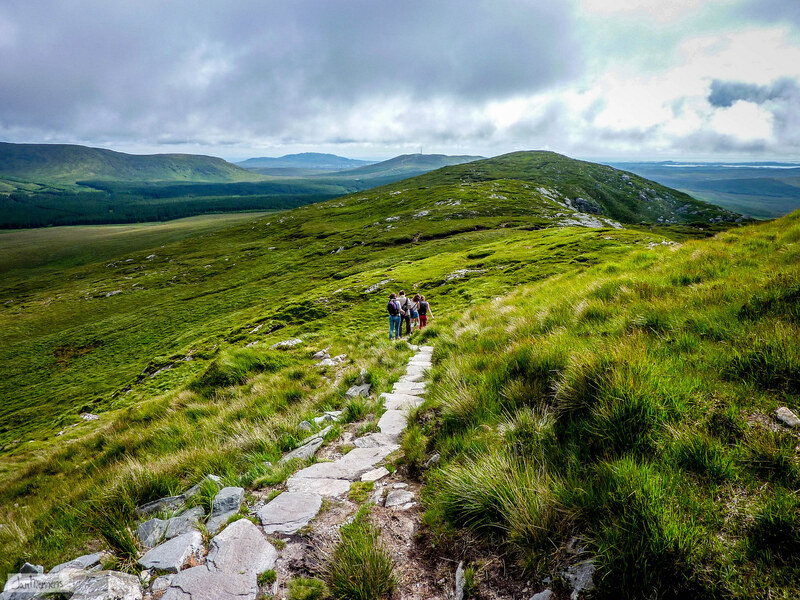 Return to accommodation through the Connemara Valleys. 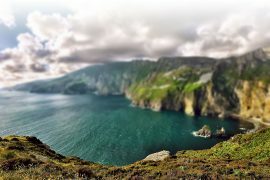 We will drive into the heart of the Connemara region, with plenty of photo stops along the way of the Corrib Lake, Killary Fjord, Fairy trees and vast bogland. 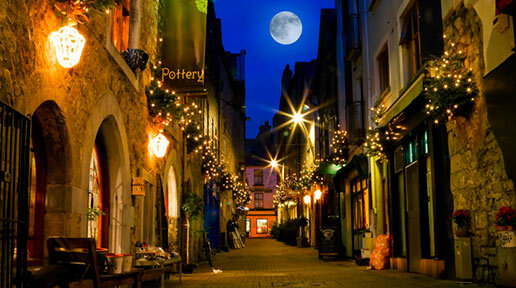 Arriving back in Galway for 16.00pm, you will have plenty of time to enjoy the Galway City. Tips: Walkthrough Shop street to see the spectacular street musicians and artists performing. Make sure you take a wee visit to the old medieval St Nicholas Church in the centre of the city. 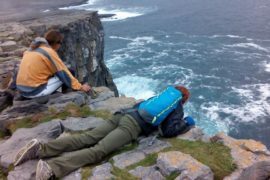 This morning we will catch the ferry to Inis Mor, the largest of the 3 Aran Islands. 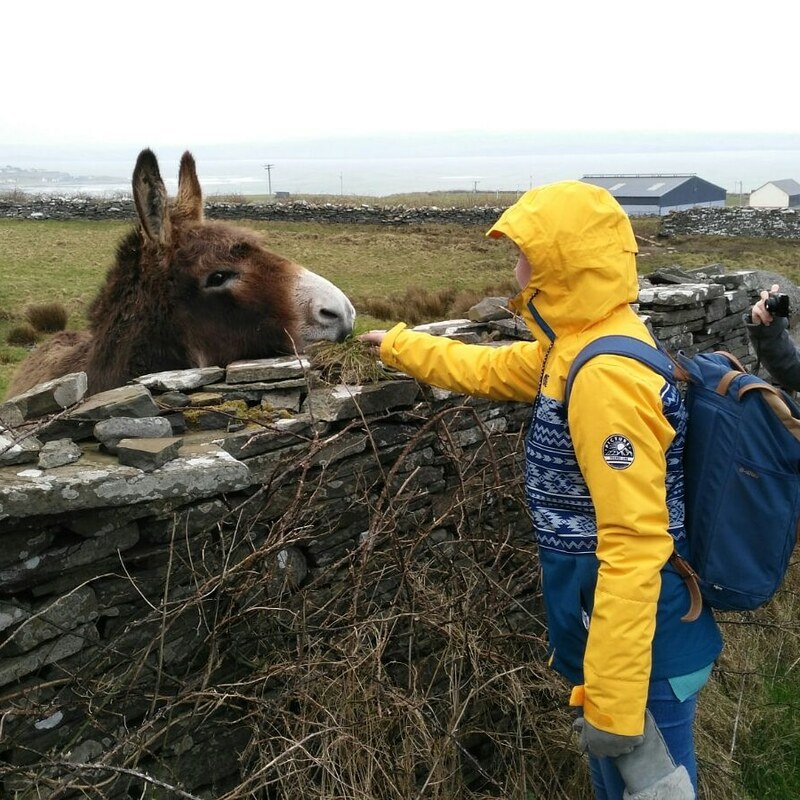 After the 40 mins boat trip, you can choose to explore the island by foot, bike, bus or horse and cart. 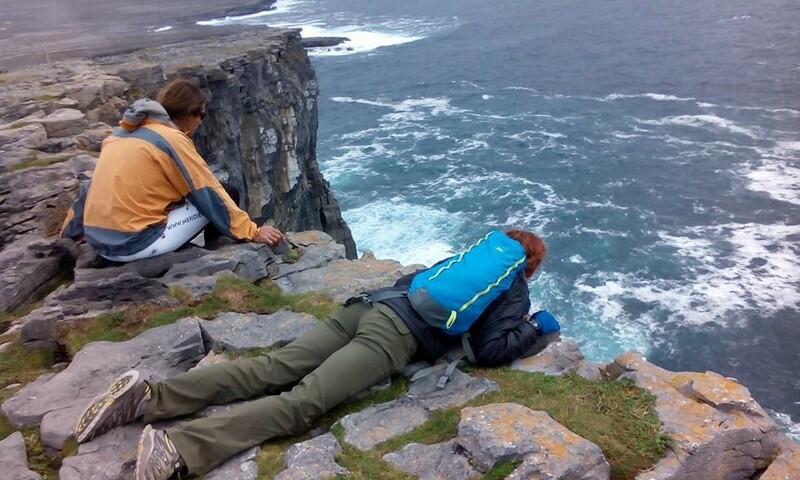 Travel back in time as we spend a whole day on the Gaelic speaking island of Inis Mor. 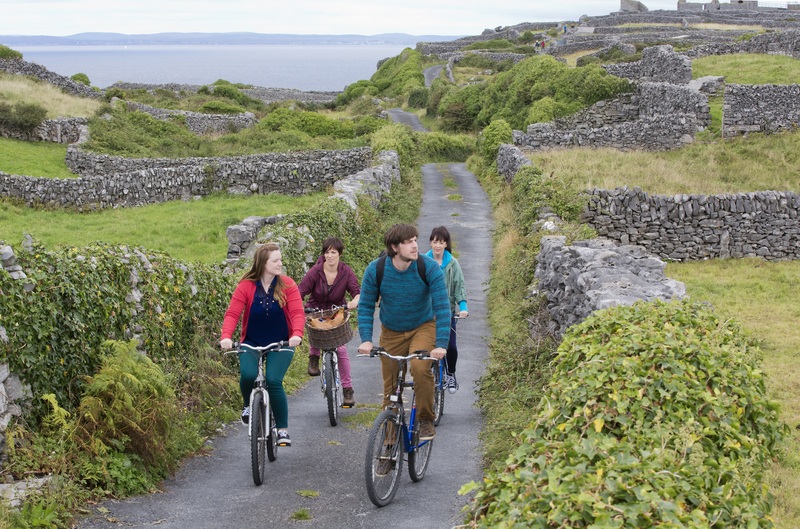 Miles of stone walls wait as you explore the island by bike. 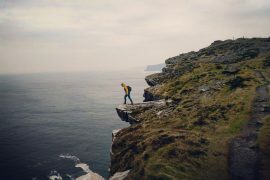 After lunch and visits to the islands main attractions, such as Dun Aongas and the wormhole, home of the Red Bull diving experience. In the evening we will catch the ferry back home after seen all the glorious west has to offer. 8.00am departure from the entrance to Castlewhite Apts Western Road. 9.30am departure from the University of Limerick, Flagpole entrance. 8.00am departure from the entrance to Tralee Bus Station.